Located in Jacksonville Beach just a few feet from the pier, 1st Street Loft offers ambience in spades. The eclectically designed event space encapsulates weathered urban clubs found in New York neighborhoods like Soho or Williamsburg. At the same time, 1st Street Loft is decidedly laid back, providing intimacy and comfort in a way that makes you feel right at home. With an art gallery, a performance stage and room for 100-125 people, this space can set the perfect stage for your corporate meeting, banquet or event — even all three rolled into one! The Mandarin Garden Club offers one of the most beautiful, picturesque venues for corporate events in Jacksonville. The non-profit organization has been running since 1945, and they are enthusiastic and passionate about caring for the gorgeous space they created together. Arbors, citrus trees and butterflies abound in this pastoral setting. Invite your group to a garden party or outdoor team building activities on the lawn, and then sit everyone together for a memorable banquet in the stately clubhouse. What better venue for a brouhaha than a brewery? Beer lovers can rejoice at this established brewery restaurant that offers a rotational of seasonal offerings fresh from the tap. They also are not shy about pouring others’ drinks, offering beer, wine and liquor for those who aren’t huge fans of hops. Overlooking the St. John’s River, this restaurant also offers a scenic dining experience for banquets, groups and meetings. They even have a marina, which means you can boat to your brews and moor up just a quick walk from your table. Their available rental spaces can seat 70 to 220. 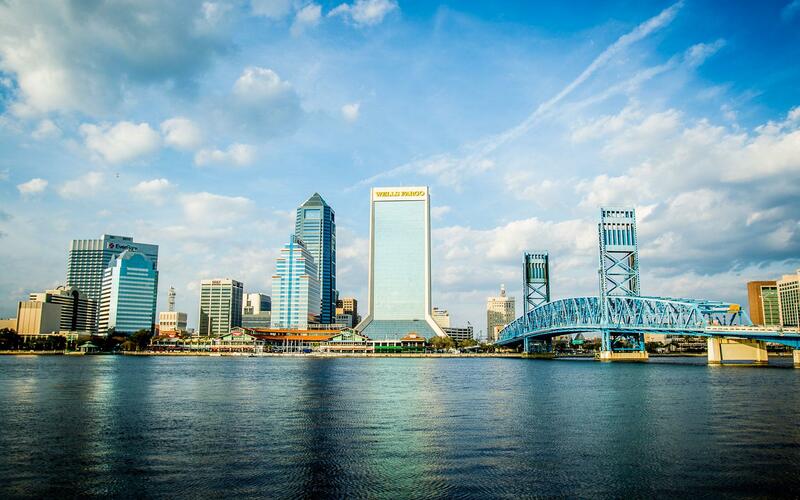 Host your meeting or event on-the-go with chartered boat tours along any of Jacksonville’s scenic waterways. Spy wild horses roaming Cumberland Island, or drift past the Jacksonville Beach front in a truly unforgettable display for your team members. Get your team working together and provide them an evening enshrouded in mystery and intrigue they will never forget at our one-of-a-kind Jacksonville escape room experience. We offer group rates and event spaces to hold meetings before or after your escape. Just minutes from downtown Jacksonville and the Landing, we offer the perfect stop on your night or weekend of team togetherness and fun. We will be opening our Jacksonville location soon, so book your Jacksonville escape room experience now!